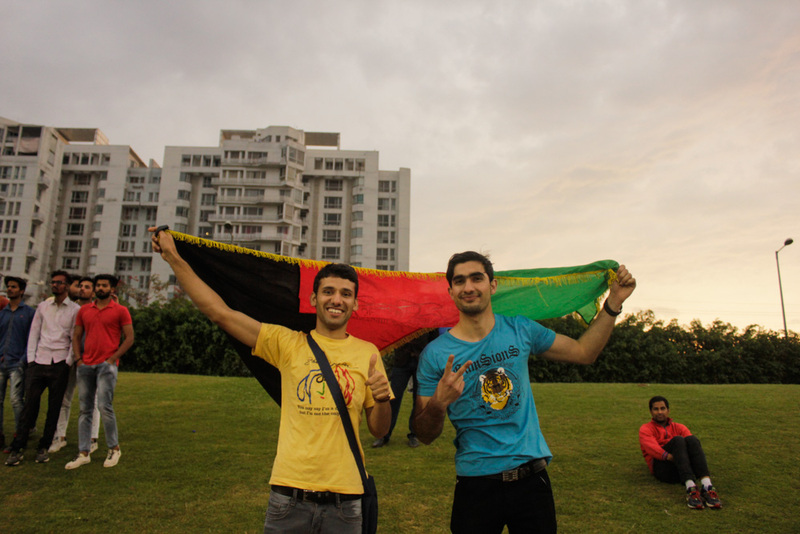 Supporters cheer for the Afghan team during a T20 match in India. Image by Ieshan Wani. 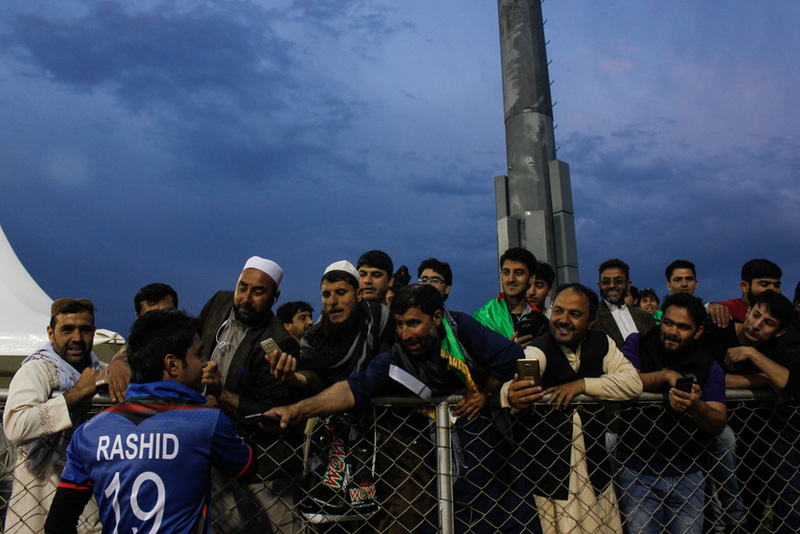 The game of cricket is a great cause of hope and joy in war-torn Afghanistan. The team is a rising star in the sport, which a generation of players learned in the refugee camps of Pakistan. Even when the team is playing abroad, cricket seems to have the power to unite a country defined by violence and factionalism. Afghanistan's team has been doing just that throughout the month of March, as it goes head to head with the Ireland cricket team in a Twenty20 International series in India. 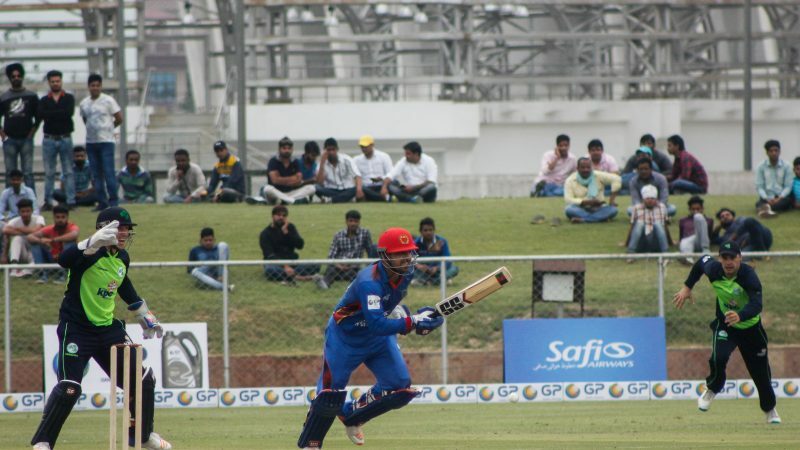 Afghanistan is technically the host team in this match-up, given that they signed a contract with the Board of Control for Cricket in India to designate Greater Noida's Shaheed Vijay Singh Pathak stadium as their home ground. 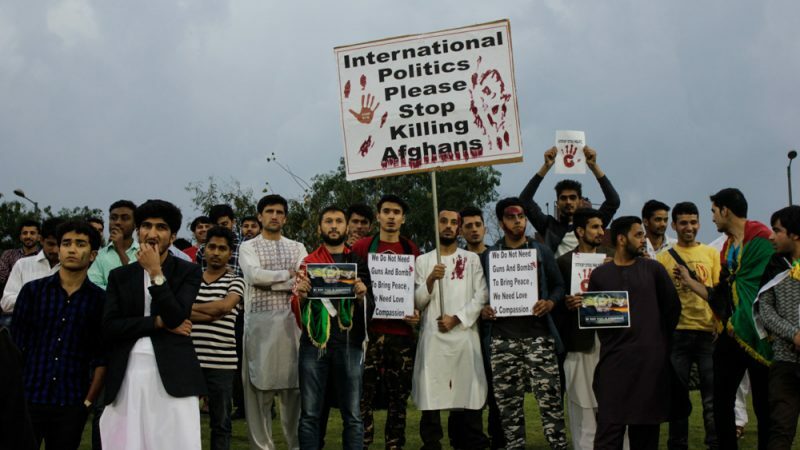 On Wednesday, March 8, Afghanistan defeated Ireland by six wickets, but the taste of victory was soon tainted as ISIS claimed to have carried out a deadly attack on Afghanistan's largest military hospital in Kabul, which killed 49 people. “Afghanistan cricket team is our one happiness in all the pain we have had. 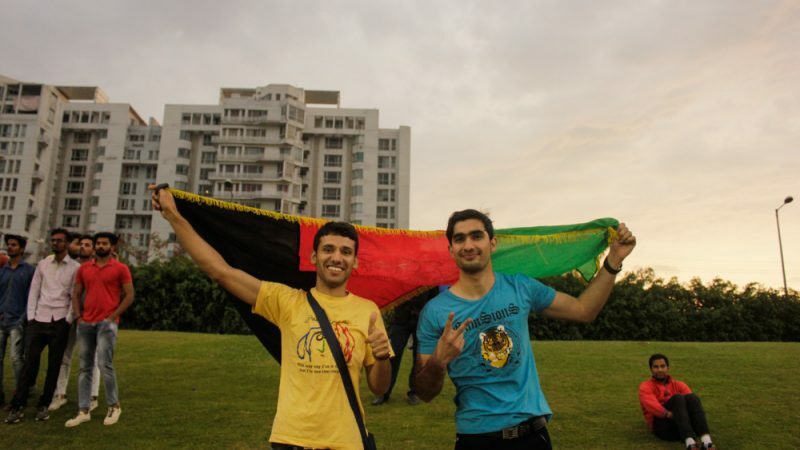 It has brought entire nation together as everyone from different ethnicities watch and cheer for them but the entire nation went into mourning on Wednesday despite the win,” Asadullah, a student in Delhi waving the Afghan flag, told Global Voices. Two days later, both teams assembled to pay homage to people killed in the attack ahead of the 2nd T20 International game on March 10, 2017. 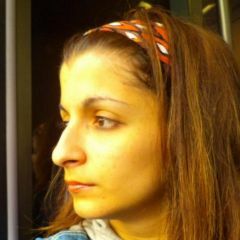 The Afghanistan team wore black bands on their right arms in solidarity with the victims, as flocks of dark clouds brooded over the ground, occasionally yielding to sunnier spells, only to return again later. 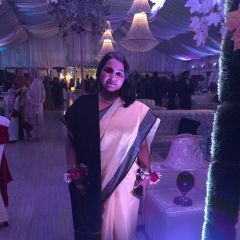 Afghanistan's powerful batsman Mohammad Shahzad was the first back in the dressing room after being caught as he tried to clear mid-off. 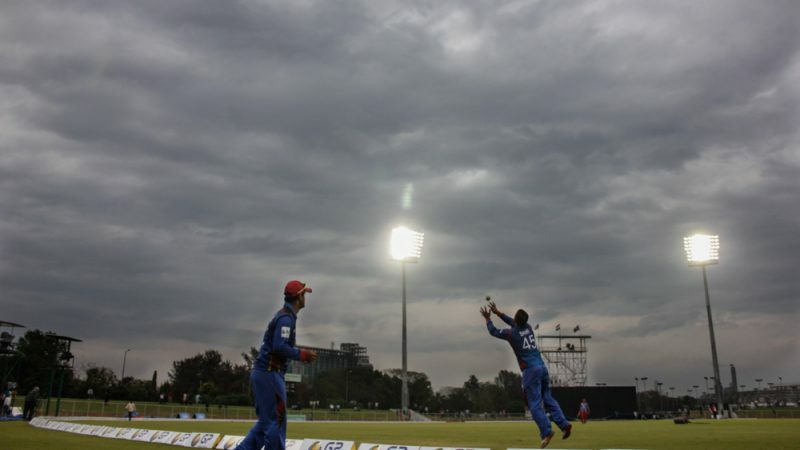 The clouds thickened as wickets continued to fall, despite a flurry of sixes courtesy of Najeeb Tarakai who helped Afghanistan to post a strong total of 184 on the board. 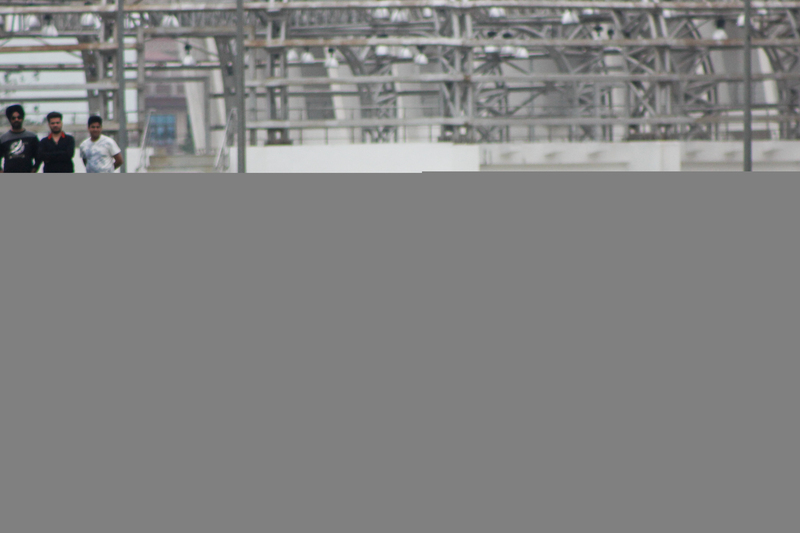 Some spectators used the occasion to draw attention to the country's plight. 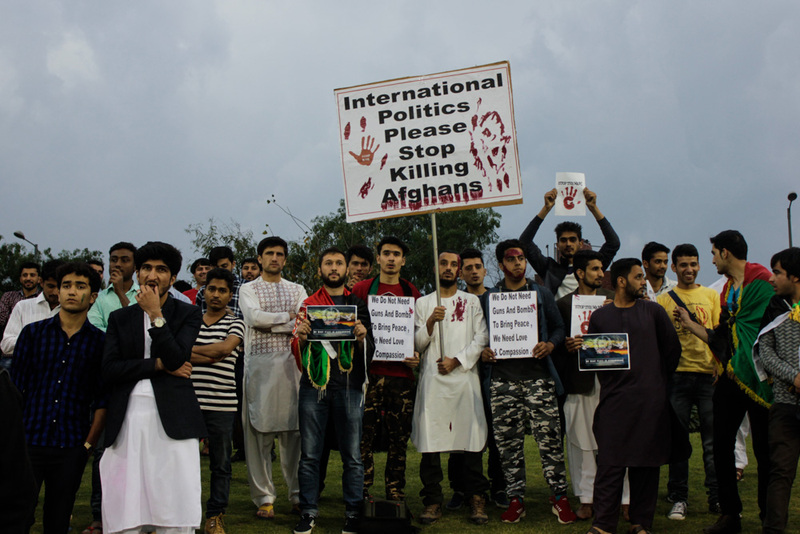 A young Afghan boy in attendance held a placard that read “International politics stop killing us”. Some of his friends applied red paint over their face, representing blood. Placard held by spectators. Image by Ieshan Wani. 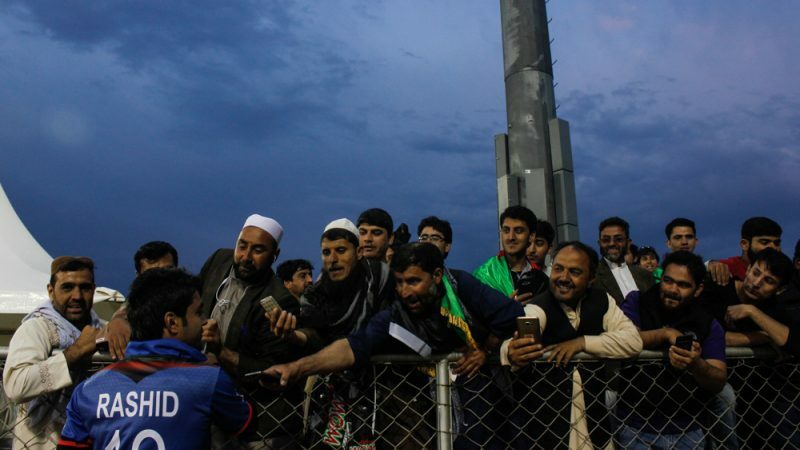 The matches are being hosted in India because of security concerns in Afghanistan, but ironically, cricket is a rare patch of common ground between the recalcitrant Taliban and the government. In 2012, the Taliban lent support to the national team when it was facing of with Pakistan in the United Arab Emirates, while in 2015 the Taliban and government forces reportedly both fired their guns — not on each other, but in joy – after the team qualified for the World Cup. The Afghan and the Irish cricket team at play. Image by Ieshan Wani. 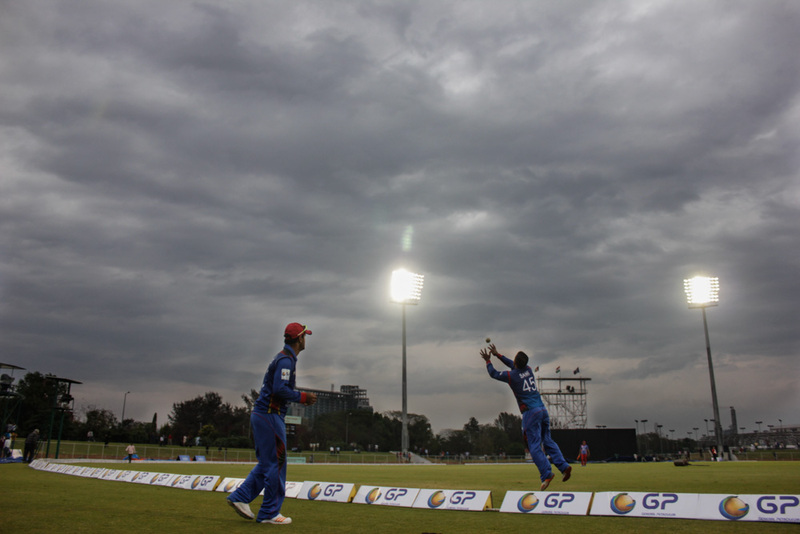 The floodlights were switched on as the Irish team came to the crease to try and match Afghanistan's total. The nature of T20, in which each team has just 20 overs or 120 balls to rack up a score, means the batting team has to start quickly. Ireland rose to the challenge, hitting balls out the ground from the off as rain began to fall. The Afghan team cheers the fall of an Irish wicket. Image by Ieshan Wani. Eventually the rain forced a stop in play as players rushed to the dugout and covers were drawn over the pitch. The bad weather appeared to slow Ireland's momentum and some good bowling from the Afghans left the away team with a target of 111 to achieve in 11 overs. With Ireland looking to hit out, the wickets began to fall as 18-year-old spinner Rashid Khan wrought havoc, gaining five wickets in the space of two overs. Afghanistan went on to win the match and there was a loud cheer from the crowd as Rashid Khan and Najeeb Tarakai shared the ‘man of the match’ award. Fans start to click selfies with their stars as they shake hands with them. 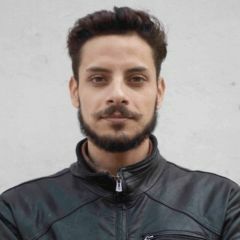 Image by Ieshan Wani. This was Afghanistan’s tenth consecutive victory in a T20 match, extending a world record in the sport, and providing a welcome spot of relief for ordinary Afghans as the Taliban's traditional spring offensive begins.